Bestek’s 150W Power Inverter Dual USB + AC Car Adapter is currently being offered via Amazon at its lowest price ever. With the provided discount code, you’ll be able to pick up this invaluable power accessory for just $11.99, making it an absolute must-have. The first thing that you will notice about this extremely handy Bestek power-delivery accessory is that it comes with a well thought out travel-ready design. This hardware is designed with a vehicle in mind, and, as such, needs to connect to the relevant input in the car to derive power but whilst actually looking like it belongs there rather than being a huge bulky piece of equipment. Thankfully, Bestesk has done a great job of ensuring that the accessory is as small and lightweight as possible. Once connected, any owner is going to be able to take advantage of the two included USB ports for charging devices like smartphones or tablets. 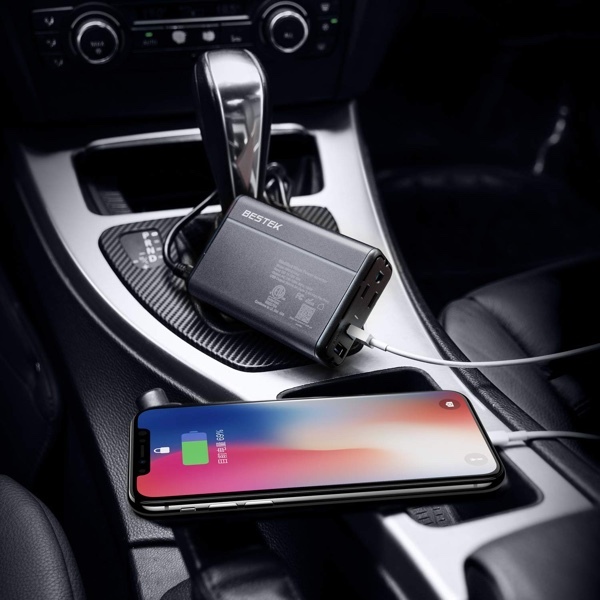 The USB ports offer 2.4A per port for a combined power output of 4.2A and offer Smart IC technology that allows the device to recognize the type of hardware that is being charged and deliver the optimal charging speed to ensure safety and integrity. The adapter also comes with built-in safety mechanisms for overheating, under and over voltage charging, short-circuiting, overloads, and overcharging. In short, no matter what happens, you’re covered. Additionally, the Bestek accessory also contains a 110V AC outlet that is perfect for charging larger devices. This means that you could take your laptop or MacBook with your on the road and ensure that it gets charged sufficiently. You could also take something like a Nintendo Switch gaming system on those long road trips in order to keep the children happy and occupied. If the battery dies, then no problem. Simply connect it to the 110V AC outlet and you will be back up and running in no time whatsoever. The port also comes with a built-in safety door to stop those prying eyes and fingers from poking and tinkering. 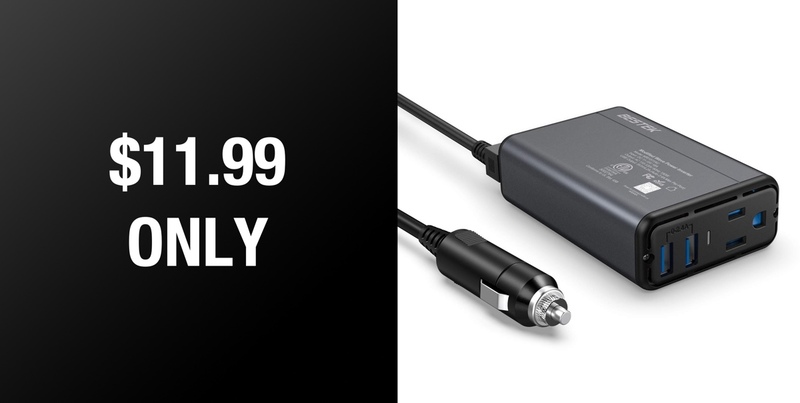 An impressive power-delivery product at an even more impressive price.